Many people purchasing condominiums don’t believe they need a home inspection. But, even when buying into a condominium building that resembles an apartment, a home inspection is really necessary. You’ll be able to find out a lot about the building from the condo association, but there are systems unique to each condo that you need to have inspected before you buy. So, how do you go about finding a home inspector for your condo? The best place to start is with your Realtor. Since Realtors work with home inspections all the time, he or she will likely maintain a list of home inspectors they have found to be reputable. If your Realtor doesn’t have a list, check out online reviews of inspectors in your area to see who has earned a good reputation in the field. This is not a good time to seek out the help of the yellow pages. It’s also not a good time to seek help from the condo association or building management. If they have something to hide, they will not point you in the direction of someone who will help their secrets come out. 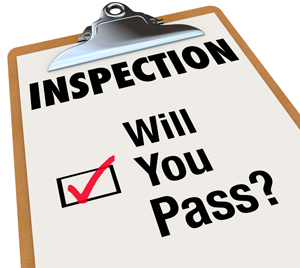 Be sure to remember to have your condo inspection completed during your due diligence period. Having the inspection done in a timely manner is critical to being able to get any problems with the condo addressed as well as being able to back out of the contract if you choose. Editorial Disclaimer: Farren West is a contributing writer and preferred inspector of Seattle Condos and Lofts. Key Inspection Services does not receive remuneration for their contribution.